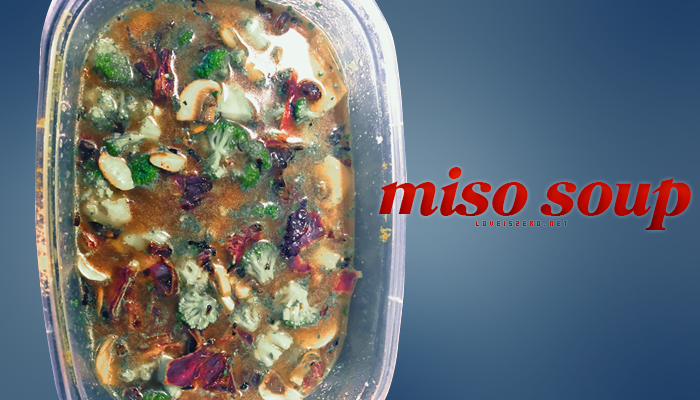 How to make this very easy vegan miso soup, perfect for the cold and when you have a cold. Herbs and spices as wanted. Depending on how much you want to make get your miso to water ratio in your bowl, and heat in mircowave until dissolved and warmed how you like. Then depending on the veggies you want to put in, you can either toss them in, or cook them on the skillet with olive oil. Especially if they are mushrooms, peppers, onions, etc.